Hours after he reportedly agreed to terms with the San Francisco 49ers, safety J.J. Wilcox had a change of heart and plans to sign with the New York Jets, according to ESPN. Wilcox was at the 49ers' team facility with the intent of signing a contract before "he got stage fright" and balked, ESPN's Adam Schefter reported, quoting a source. The 27-year-old Wilcox, according to the report, decided he wanted to play for Jets head coach Todd Bowles and boarded a flight to New Jersey. Newsday, citing a source, confirmed later Tuesday that Wilcox planned to visit the Jets. The Steelers released Wilcox on April 30 after selecting a pair of safeties in the 2018 NFL Draft and signing two more safeties in free agency. Wilcox appeared in 12 games, including one start, and finished with one interception, one pass defensed and 12 tackles for Pittsburgh in 2017. 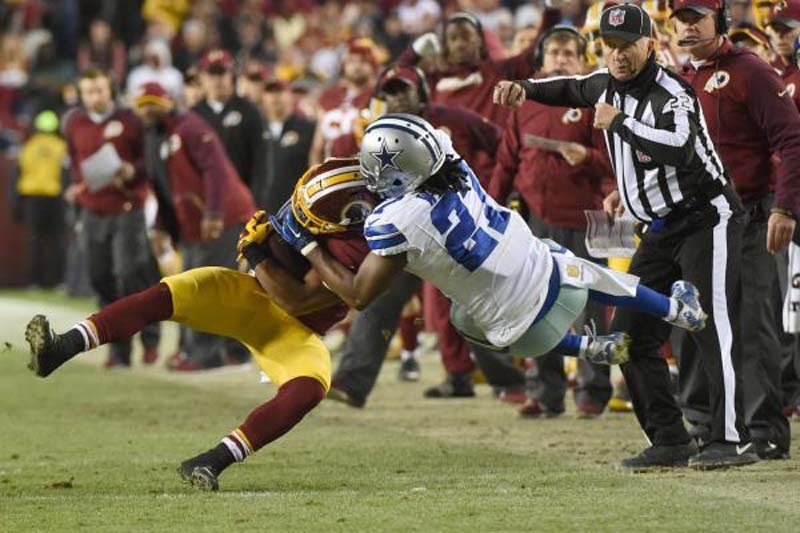 A third-round draft pick of Dallas in 2013, Wilcox played his first four seasons with the Cowboys. He started all 16 regular-season games plus two postseason games in 2014 and had 13 starts in 2015. After starting four games in 2016, Wilcox signed a two-year contract with the Tampa Bay Buccaneers, who traded him to Pittsburgh on the eve of the 2017 season.